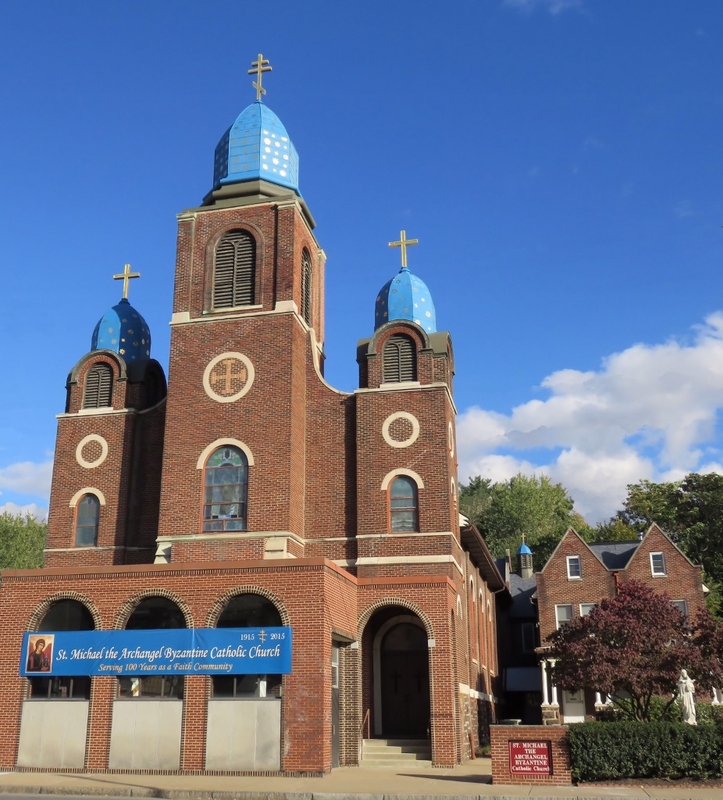 On July 23, 2018 A Divine Liturgy was celebrated at the Basilica of St. Ann, Scranton, Pennsylvania. The annual novena to St. Ann draws thousands of faithful pilgrims from July 17 through July 26, the feast day of St. Ann on the Latin calendar (July 25 : Dormition of St. Ann on Eastern rite Calendar). Novena week is observed with multiple daily Roman Catholic Masses and daily novena prayer services with inspirational preaching. Each year for four decades, a Byzantine Catholic Liturgy has also been featured. Photos appear in sequential order including: the great incensing of the church and faithful, chanting of litanies, the Epistle and Gospel readings, homily, singing of the Nicene Creed, the Anaphora (Eucharistic prayers) and Epiclesis (consecration of the Holy Eucharist), and following the Liturgy were the closing with novena prayers and blessing with relic of St. Ann. By ByzantineCatholic in Basilica, Byzantine Catholic, Liturgy, Prayer on July 29, 2018 .